At Pontarius we employ not only engineers, economists, lawyers and architects but also airline pilots, air traffic controllers and airport operations specialists. This ensures that we are able to examine every aspect of the planning and development phase; not least the unique challenges that face each and every airport. We are your experienced and flexible partner. However, the truth remains that few industries have been such a driving force behind the development of hi-tech systems, interfaces between man and technology, standardisation, safety analysis, commercialisation, management systems, etc. – while at the same time playing a central role in the evolution of modern society. Not so strange then that our aviation and airport consultants are so passionate about working on the challenges and opportunities provided by the industry in areas such as airport inquiries and developments. 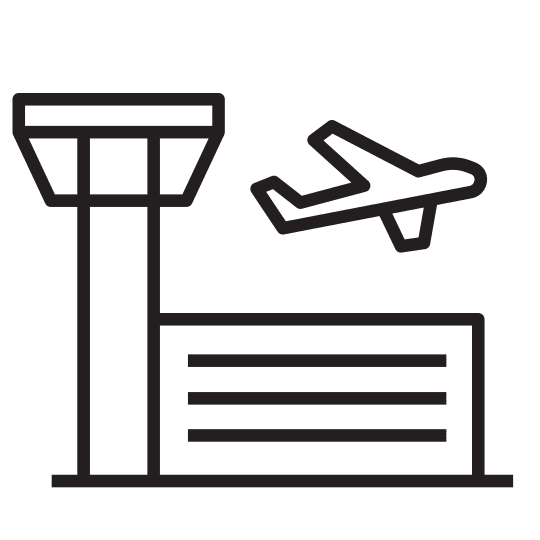 Our airport specialists have many years of experience of airport technology, operations, maintenance and management – both at systems and detail levels. Airports have gone from being a take-off and landing runway with an adjacent waiting room, to being futuristic, multi-modal meeting places for people, commerce, service and communication. Our work covers everything from airport simulations to planning and procurement support. Growth forecasts for airlines over the coming decades are higher than ever. However, this demands an overhaul of the business model, more efficient handling of permit issues and regulatory authorities and that airports recruit the requisite qualified personnel. Technical developments have taken navigation, fuel economy and noise reduction to entirely new levels. Globalisation, of which air travel is the very pillar, has become a prerequisite for wealth creation and poverty reduction. In short, the challenges are many but the opportunities considerably greater. It is precisely at this intersection between challenge and opportunity that Pontarius thrives. We support airlines in areas such as business development, permit and regulatory authority issues, strategies and legal assistance in airplane leasing, qualified personnel in the form of nominated postholders, fuel efficiency, safety and security audits and manual development. Gain control over your airport’s paved surfaces and reduce maintenance and repair costs using systematised maintenance planning aided by MicroPAVER™. MicroPAVER™ is a decision-making computer tool, developed by the US military during the 1970s for the planning of cost-effective maintenance and repair of asphalt and concrete surfaces. Today the program is used worldwide, primarily for airports, ports, roads and industrial surfaces. With the help of MicroPAVER™ you can gain control of your paved surfaces by storing and analysing inspection data. In this way, maintenance can be planned in good time – giving cost-effective maintenance planning instead of ad hoc solutions. Ocular inspection of the surface coating. Determination of the condition and grading of the surface in accordance with PCI (Pavement Condition Index). Production of surface degradation curves for different areas, taking into account the environment, loads and other factors. Customised reports containing plans for which maintenance and repair measures should be carried out and when, in order to optimise the maintenance budget and control costs. Together with you we will tailor an approach to best suit your business and provide the best possible value and cost effectiveness.